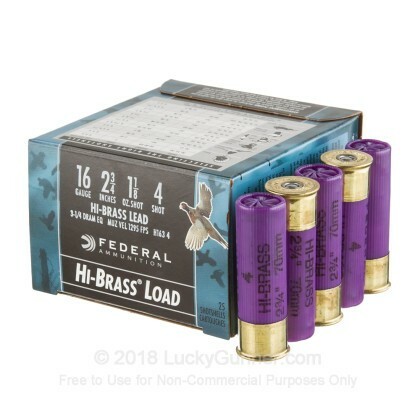 Federal’s 16 gauge #4 lead shot load from their Game-Shok line combines premium components like Federal’s 2-3/4” high brass shells and 209 primers with tried-and-true #4 lead shot to give you a highly effective hunting round that will take any bird you point it at without breaking the bank. 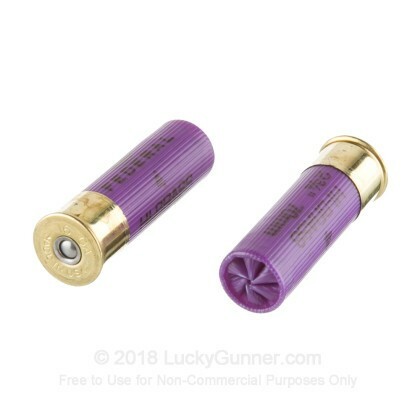 #4 lead shot is an extremely flexible shotshell load that’s viable for varmint hunting, self defense, plinking or target shooting, but is most commonly used for hunting large birds like turkey. Don’t confuse it with #4 buckshot; #4 shot pellets are about half the size of #4 buck pellets. 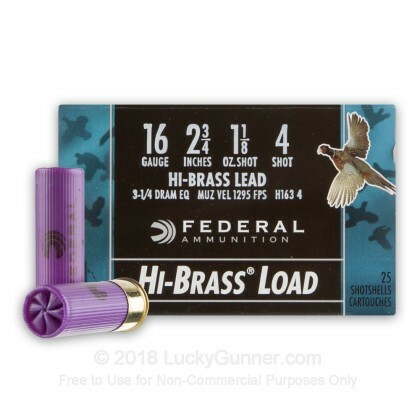 #4 lead shot has excellent flight properties and keeps a tight pattern that penetrates well on impact, making it great for bringing down birds in flight. 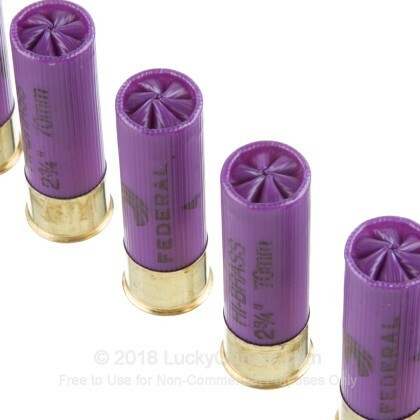 Note that some areas do not allow lead shot for hunting; when switching to steel shot, you’ll want to step up a size or two to get similar ballistics. 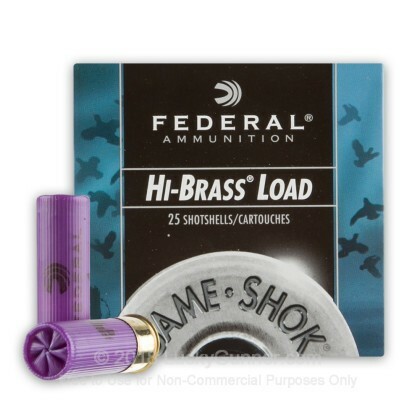 Federal’s Game-Shok line is known for reliable performance at prices that keep your wallet fat. 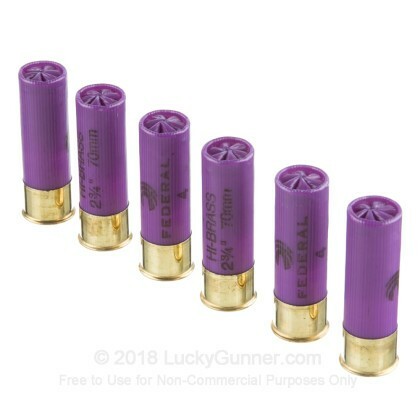 If you’re hunting on a budget, hunt for boxes of Game-Shok shells.